In Ladson SC, much of nature's beauty is found in its diversity. We welcome residents from all walks of life: commuters, students, military service members, workers, adventurists, and everyone in between. Located off I-26 in Ladson, SC, our apartments are perfectly located for whatever your ventures may be. From the large tree trunks in our clubhouse, to our majestic palm trees in the pool area, each aspect of our community was meticulously planned with our residents in mind. Our rich selection of one-, two-, and three-bedroom floor plans allow for diversity and flexibility in your living arrangements. When it comes to apartment amenities, perhaps convenience is the most important feature. 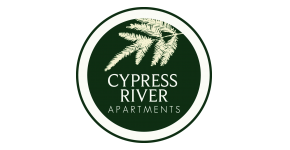 Cypress River apartments offer the best in premium and convenient amenities so your life is just that—convenient. Our pet-friendly community features a Bark Park so your four-legged friends have a place to run about. We have two fully-equipped, 24-hour gyms, a community clubhouse, fire pit, swimming pool, business center, and TV lounge all for you to use at your leisure. Cypress River welcomes you home in our community with all the conveniences you need on-site, and ease of access to work, school, shopping, travel, etc. Please browse through our website here for more information and apply today to reserve your spot in our community today!